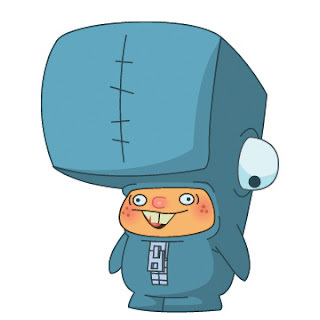 TAESOO KIM: Hurray for Whaleboy! It's official. And Nick said we can finally say it to the world. We (Patrick Morgan, Ed Acosta, and I) just signed the contract with Nickelodeon to do a development for Whaleboy. We are one step closer to making the Whaleboy cartoon. 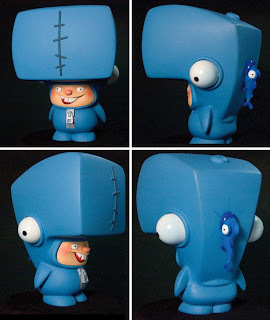 Wish us luck and in mean time look out for our up coming Whaleboy vinyl figures. And yes, T-shirts are still available. 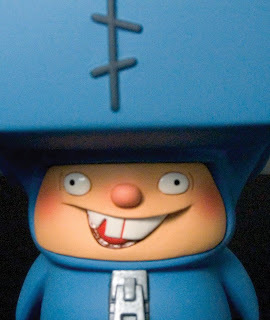 Nice simple design...wow, a vinyl figure. Good luck with the Nick deal...have you tried Cartoon Networks?